L’Ecole is not what it used to be, and Laurent Schwartz, the hero of so many generations of French students, must be turning in his grave. By calling on the citizens of the world to “Be Indignant!” or to “Cry out!”, the 93-year old Stephane Hessel, surely did not know how successful he would be, and in how many ways people will heed his call. 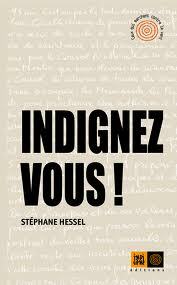 “Indignez vous!” is actually a pamphlet consisting of 13 pages of text and 16 pages of blurbs and notes. It sold one million copies in three months and it is on its way to 2-million. That is twenty more times the copies of the second book on the French bestseller list, authored by the Prix Goncourt winner, Michel Houellebecq. Stephane Hessel is a French Resistance hero, who survived the Holocaust by escaping from Nazi death camps. The guy is a legend in so many ways. 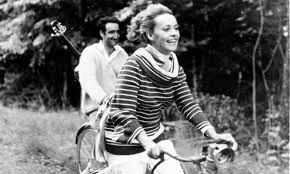 His mother seems to have inspired the novel “Jules et Jim” – adapted by Francois Truffaut. My favorite all-time movie, it is considered to be the French counterpart to “Citizen Kane” and “Casablanca”. 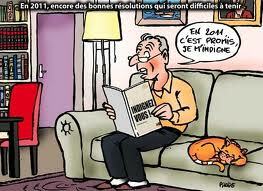 Now, Stephane Hessel decided at the age of 93 that he is mad as hell and that he is not going to take it anymore. 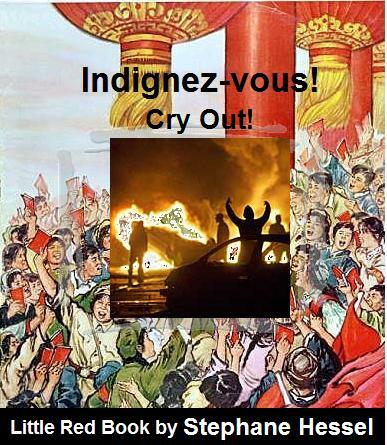 The former diplomat, who is also one of the last surviving authors of the Universal Declaration of Human Rights, decided to write this political pamphlet that tries to rally his countrymen around the battle cry, Indignez-vous! His message calls on the French to react and resist in order to transform society. He urges French youth to recapture the wartime spirit of resistance to the Nazis by rejecting the “Insolent, selfish,” power of money and markets and by defending “the social values of modern democracy”. He urges people to consider the widening gap between the very rich and very poor, and the dictatorship of capitalism and the market. His message seems to have struck a national –and possibly international– nerve. Some people say that he may have uncovered a “deep sense of indignation in France,” in particular at the social inequalities of Nicolas Sarkozy’s presidency. Sylvie Crossman, a former Le Monde foreign correspondent said “the book had been a success because it gave hope to people from a real fighter who was not just an armchair intellectual.” Ouch! A first source of indignation for self-appointed French philosophers, Bernard Henri Lévy and Alain Finkielkraut. So what’s the problem? Well, two pages out of the 13 in Hessel’s book deal with the plight of the Palestinian people, and the debate featuring Hessel at the Ecole Normale Superieure was about that highly charged topic. The director of the school eventually cancelled the debate after the minister of education and other influential people intervened. But then, and as always, these things end up backfiring, just like in the case of UT student Jenny Peto, and of UBC’s Gazazappola. The heavy-handed approach ended up causing more debate, more outrage, and more attention –even a demonstration in the Latin quarter– than what the original event itself would have generated. Bernard Henri Lévy and Alain Finkielkraut, who were publicly thanked by some for helping secure the cancellation, issued statements denying having anything to do with it. In the meantime, this modern day Gandhi “attends la mort avec gourmandise”. 2 Responses to Cry out! Indignez-vous! It’s fascinating that the political pamphlet continues to have such a polemic-inducing effect in France. Events and uproars such as this make Marx and Engels’ days of stirring people’s minds through small populace-directed publications seem less far off than they oftentimes seem in the technologically-induced, social media swamped life which has become the norm. It is true, and very interesting, that being overly cautious about hosting events such as this does cause more of a stir (uproar in the case of France) than actually going through with the event, which would most likely spark the odd protest from a radical newspaper or issue-seeking individual. Political correctness can have the opposite effect from that intended. Amongst all of history’s revolutions, upheavals, empowerments and disempowerments, one thing will certainly remain constant: French indignation. What an insightful comment. Melanie is that you? It did indeed escape me how widely used the political pamphlet was in France and Europe in general. This is indeed not a new phenomenon. How could I forget Voltaire the king of pamphleteers, Montesquieu’s on “Esclavage des negres”, and Hugo’s on “Napoleon le Petit”? … and the notorious “French indignation” of course, which hits you as soon as you hop in a Taxi at CDG.